At the beginning of Queen Victoria's reign illiteracy was commonplace; at her death the vast majority of people in this country could read and write. This was largely due to the efforts of the churches and chapels. It was they, not the state, who were the promoters of education, especially for the children of poorer families who could not afford to pay for attendance at a private school. Sunday schools, established towards the end of the 18th century, taught the `three Rs' and provided some basic form of literacy for poor children. However, education of the `lower orders' was frowned upon by many of the `upper class' on the grounds that it would make the poor dissatisfied with their station in life. The pioneers of education, well into Queen Victoria's reign, had to face this prejudice along with all the other problems of establishing schools for poor children. A charity school had been founded in Barton around 1722 and continued to educate some poor children until its closure in 1842. This created an even greater vacuum in the provision of education for those who could not afford to attend one of the several private schools in the town. "...the town of Barton contains a population of 3,500 ... almost wholly occupied in trade and in manual labour such as agriculture, Rope and Brick making, etc. The children of the Poor are numerous and have scarcely any means of gratuitous education except that which is imparted to them on the Sabbath Day." On 1 April 1844 the Vicar of Barton, the Reverend George Uppleby chaired a meeting `for the purpose of considering the Establishment of a National School connected with the Established Church ... a School being very much required'. A committee was formed with Mr Uppleby (Chairman), his curate and eight leading townsmen to raise subscriptions for the founding of a school. This committee worked with great alacrity. From nothing, except determination, it had within only nine months raised the necessary finance, found a site (see Plan), designed, erected and opened a school for up to 400 pupils and built a house for the master! The site chosen for the school was `part of the site of the late Mansion' which was purchased for £250, the deed being executed on 24 June 1844. In the meantime, the Vicar and his committee had employed an architect, William Hey Dykes Junior of Wakefield, and formerly of Hull, who was prominent at that time for his work in building and restoring churches in Yorkshire. After Dykes' drawings were accepted on 13 June 1844, tenders were invited from contractors. The committee was anxious that the erection of the School should be carried out by local tradesmen who would not only benefit financially, but would also be able to admire their workmanship. The main contractors were Pickard and Willingham, both of Barton. The committee took a particularly active interest in the design and appearance of their school so that it would enhance the town and win the admiration of the inhabitants. They would have been proud when in 1850 the H.M.I. of Church Schools described the building as `large and handsome'. The building, in a neo-Tudor style, is of red brick with stone dressings for quoins, door and window surrounds. The roof is of Welsh slate. It originally contained three large School-rooms: one for 150 boys, another for 150 girls, the third for 100 infants, and a house for the master. The total cost of the building work was £846.18s.Od. The foundation stone of the school was laid on 6 September 1844. Portrait of Samuel Wilderspin (from P.
At this time, and for many decades to come, there was deep division between the Church of England and the Nonconformists; nevertheless the Vicar, when laying the foundation stone of this school, offered a hand of friendship by inviting `the children of those of our dissenting friends' to attend his school. 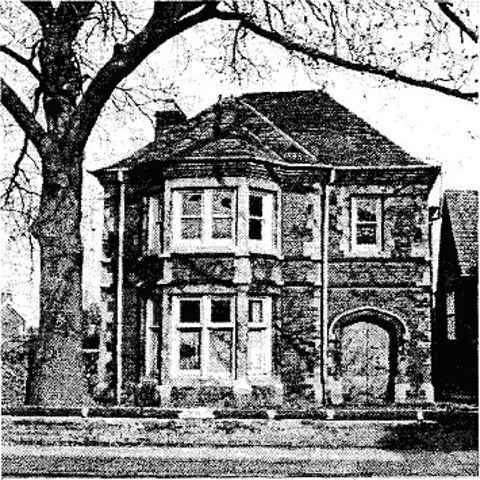 The Wesleyans, however, not to be outdone, immediately began raising money and opened their own day school on the site of the present Lecture Hall on Holydyke in the same year as the Church School. On 6 January 1845 the Infant School was opened, followed by the Boys' School on 21 January and the Girls' School on 4 February. The first superintendent of the Infant School was Samuel Wilderspin, who had moved up from London the previous year with his wife and daughter, and all three taught in this school. So popular was the Infant School that, within a few weeks of its opening, the Managers agreed on its enlargement to accommodate a further 50 children! 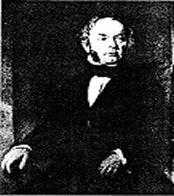 Wilderspin (1791 - 1866) was by this time recognised as a `household name in his own lifetime', and had a national and international reputation as the founder and chief promoter of infant education in England and Scotland. His main object was to provide schools for children aged between two and seven years, whose only source of education up to that time had been the inefficient dame schools. 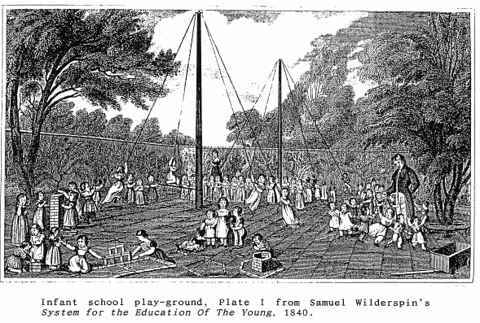 He saw the educational value of amusement and activity and keenly promoted playgrounds, `the uncovered classroom', with apparatus for games, and planted with trees and flowers. This concept of infant teaching was greatly in advance of his time and anticipated many of the methods associated with modern education. His lecturing efforts throughout the country promoted the establishment of several hundred infant schools and he is particularly noted for his successes in Lincolnshire, where his efforts from 1831 onwards were responsible for schools at Lincoln, Louth, Stamford and Kirton in Lindsey. It was Barton, however, which saw the culmination of his career as an educationalist, for it was here that he was provided with a major opportunity to put his ideas into practice over a period of time. Wilderspin and his wife were living in Barton when the school plans were being drawn up, and he was directly involved in the layout of the Infant School and almost certainly of the generous grounds too. 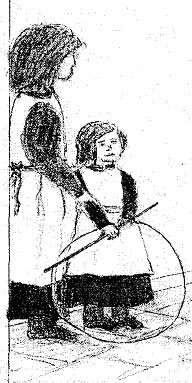 Besides his normal teaching duties Wilderspin also appears to have undertaken training of schoolteachers and nursery governesses and it was in Barton that he wrote his definitive work Wilderspin's Manual for the Religious and Moral Instruction of Young Children. Wilderspin himself became Barton's most famous inhabitant and in 1846 he was offered a Queen's Civil List pension of £100 a year for his `services as the founder and promoter of Infant Schools'. His wife, too, was widely admired and was presented on her retirement with a silver whistle as a token of the children's affection. The children further demonstrated their attachment to her by declining to take the holiday offered them! The school premises were gradually extended, notably by the erection of the School House in 1883 and the practical work rooms for domestic science and handicrafts in 1935. In April 1957 pupils over eleven were transferred to the newly-opened Beretun Secondary Modern School. 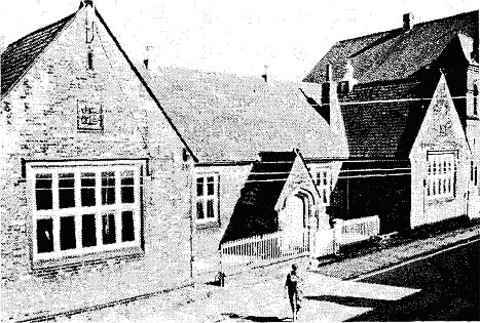 The Queen Street school was then reorganised as a junior and infant school and remained in use until November 1978 when the newly-built St Peter's Church of England School was opened in Marsh Lane. Today, as we look at the closed and now sadly neglected school buildings, we might reflect on the vast social changes which have occurred since this school was opened in 1845. We now take for granted all forms of education, but in 1845 there was no education in Barton for the children of poorer families, except in Sunday schools. During the 1840s one-third of people being married in Barton could not sign their names in the marriage register; by the 1890s this proportion had been reduced to one-fortieth. This progress was also very closely demonstrated on a national level. Britain had become a highly literate nation, largely due to the growth in elementary education. Prior to the erection of this house in 1883, the schoolmaster was housed in the north-east corner of the main school building of 1844. As was often the case, he lived and taught under the same roof. After the erection of the new house alongside the school, the original dwelling was incorporated into the boys' school. Following much controversy, the School House was demolished in 1987 to make way for a car park. Heritage as "one of the most important schools surviving in England"; firstly for its unique association with the leading educational pioneer, Samuel Wilderspin, and secondly for its embodiment of educational innovation and its importance as a model design for other Victorian schools. It is a unique survival. Wilderspin had worldwide impact, yet "this is the only known survival anywhere of a Wilderspin school and playground".